Flat Planet Press is the combined studio practice of Rockford artists Joe Tallman and Alison Weust. “Flat Planet” is also the title of their exhibition opening Friday, February 2nd in the Kortman Gallery, Downtown Rockford. The title is derived from the two-dimensional nature of Tallman and Weust’s work, as both artists concentrate on hand-drawn, hand-printed works on paper. Tallman & Weust have found inspiration for their contemporary/retro imagery from comic books, pulp era science fiction, hand-illustrated typography, and even music all with a graphic design sensibility. Weust is a designer and printmaker who specializes in screen printing and photo lithography. Joe Tallman is an illustrator and screen printer who creates his art using a hybrid of traditional drawing and inking methods along with digital coloring techniques more commonly seen in modern illustration. 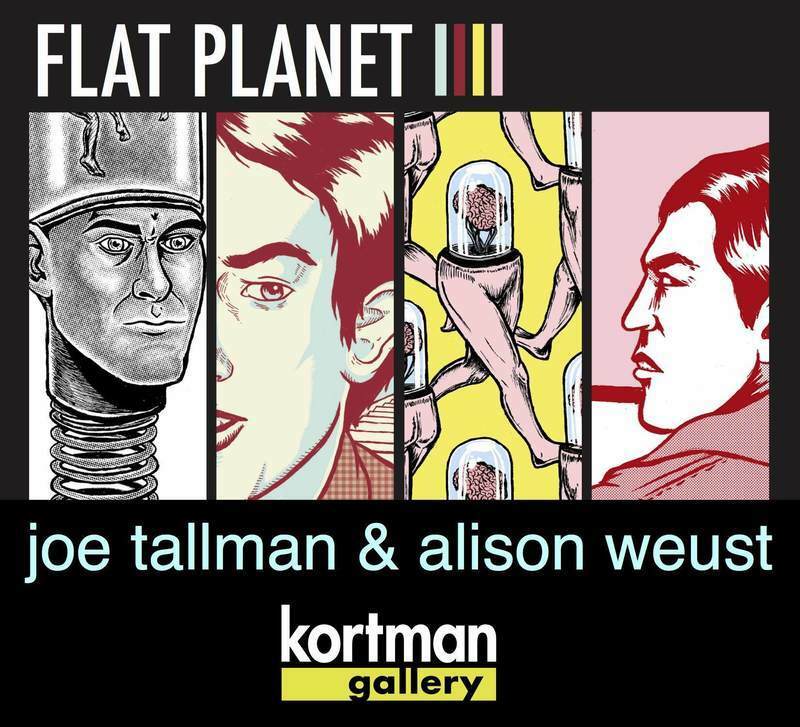 “Flat Planet” featuring art works by Joe Tallman and Alison Weust opens First Friday, February 2nd from 5:30 to 9pm and will be on display through March 31st. Kortman Gallery is located upstairs at J. R. Kortman Center for Design, 107 North Main Street in Downtown Rockford. For more information call 815-968-0123.